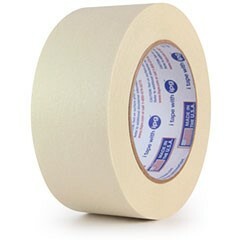 Packaging Tape is considered a pressure sensitive tape used in a wide variety of applications, commonly used for sealing boxes and packages for shipments. Available in various sizes and widths. Resistance to aging, weathering, UV light and yellowing clarity, high shear strength to prevent “flagging”, superior quick stick performance and controlled unwind to facilitate dispensing on manual or automatic case sealing machines. Manual or automatic application provides excellence processing performance Adhesion properties, holding force, tensile strength, and easy unwind ensure consistent, reliable seals to variety of corrugated and linerboard boxes. Carton sealing packing tapes may have an acrylic, hot melt rubber, or natural rubber adhesive system; and the typical film backing may be clear, tan, or any number of colors, in the case of PVC. 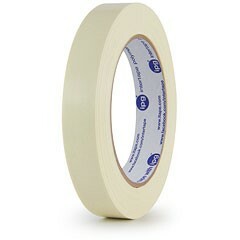 Carton sealing tapes are typically 55 yard or 110 yard rolls. Machine length rolls can range from 1000-2000 yards in length. Gummed paper tape, or water activated tape, has the ability to attach to recycled or new materials resulting in a tamper-free bond for excellent packaging reliability. This tape is also considered the best way to seal cartons. Available in reinforced and plain Kraft in various grades. Poly propylene film with fiberglass reinforcements. Filament tapes can be used in various markets and for various uses. 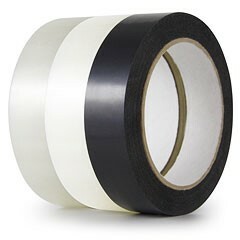 Filament tapes incorporate a natural rubber/resin adhesive to achieve good adhesion and medium impact strength. 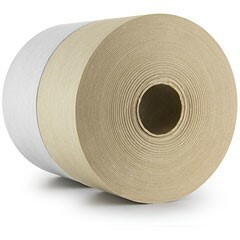 A type of pressure sensitive tape made of a thin and easy to tear paper and easily released pressure sensitive adhesive holding, light-duty, splicing, bundling, packaging. 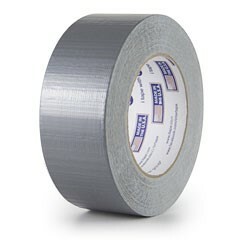 Also available in blue painters tape for standard and high temperature conditions. Tensilized propylene utilizing and palletizing so that it will not give away during transit, and it can be used to reinforced shipping boxes. 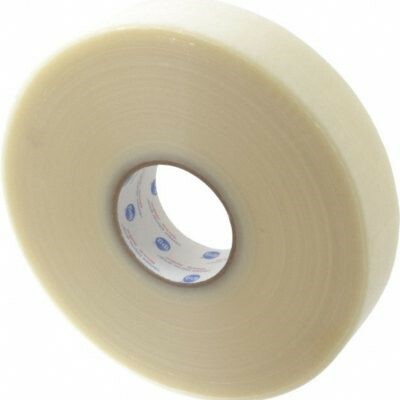 Pressure-sensitive tape, often coated with polyethylene. There are a variety of constructions using different backings and adhesives. 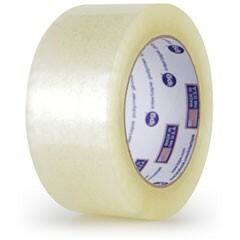 A strong, cloth backed, waterproof versatile adhesive tape. 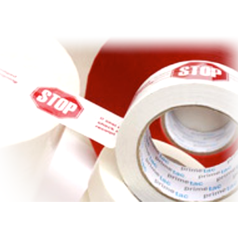 This tape is made from high quality polypropylene with a hot melt or acrylic adhesive and it is suited for branding and pilfor application. Available in hand and machine grade.